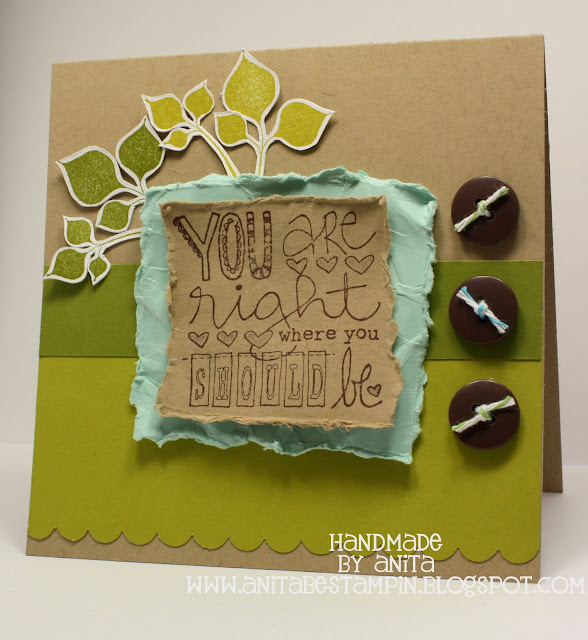 Anita Be Stampin: Unity Friends with Flair - What's Chirpin'? I love hearing about a good sale; it's music to my ears. Sorry I'm a little late in sharing this information with you, but there is still one whole day to take advantage. You might also want to check out tons of fabulous inspiration along the Unity Friends with Flair blog hop. You've just hit one of the blogs along the hop right here, why not check the rest of the fabulous projects? This card is adorable, love the colors! Love the texture and natural look to this! And the sentiment rocks! Great design and texture. Love the distressing and I am diggin' that sentiment! Love your colors and the texture! That sentiment is one of my favorites!